Supreme is back with another top-shelf Clarks Original collaboration, teasing new versions of the Wallabee and Wallabee boot just in time for proper summer flexing. 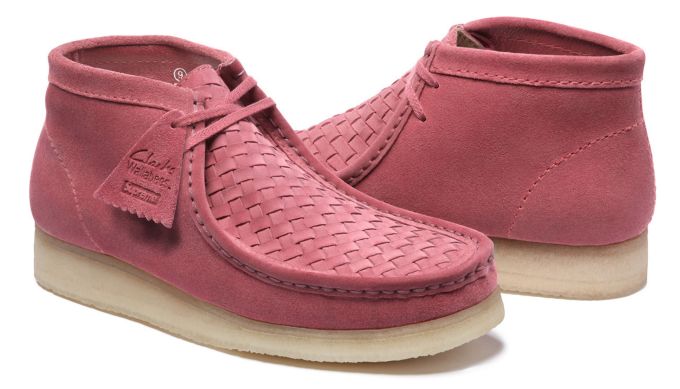 Exclusive to Supreme, the fresh batch of suede footwear gives the Wallabee Boot three new summer-appropriate colorways. 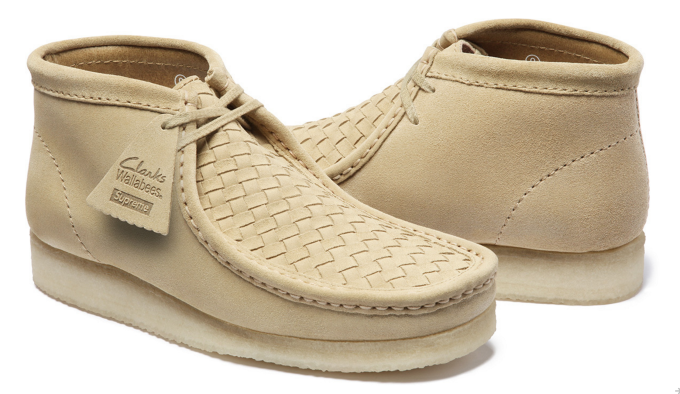 The classic Wallabee gets a single colorway, keeping the vibes simple and clean. 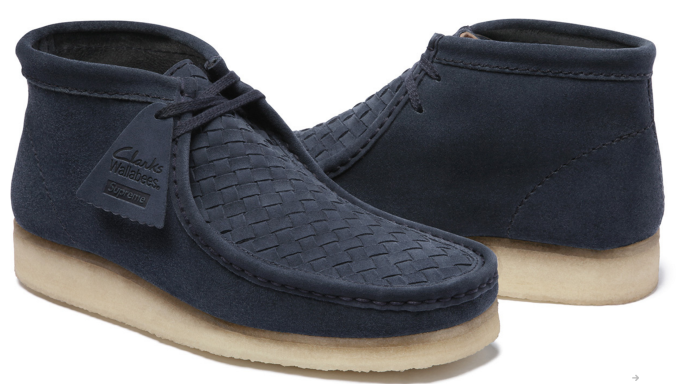 As always, the Supreme x Clarks come armed with suede uppers, woven suede vamps, and crepe soles. The shoes will be available for mass consumption at the New York, Los Angeles, London, and Paris shops and online May 12. 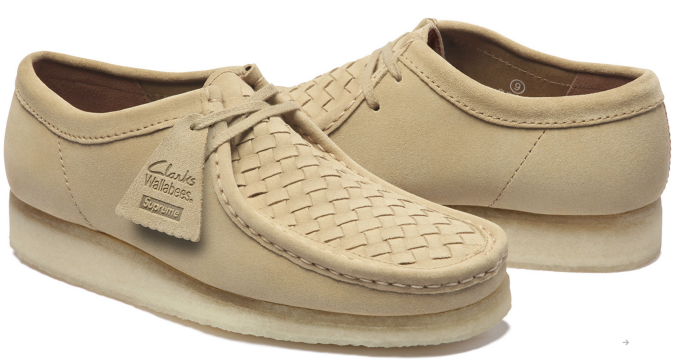 Japan gets the gift of Supreme x Clarks May 14. Supreme just rounded out its spring lineup earlier this month with four pairs of summer-ready sunglasses: Moda, Veda, Drifter, and Factory. In addition to their highly braggable handmade-in-Italy distinction, those frames also earned the honor of being unveiled alongside another Levi&apos;s collaboration last week.